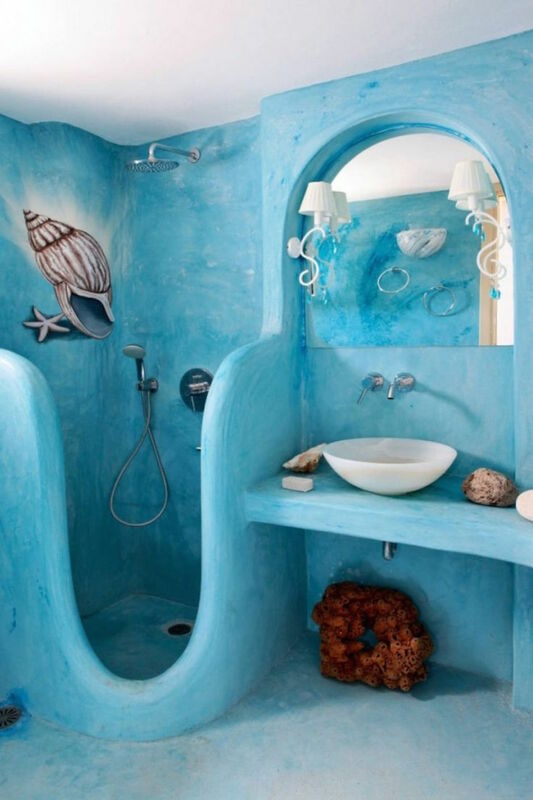 Beach Style bathrooms are always pretty and enjoyable as they are usually done in water colors – dark blue, turquoise and all the other water shades. Such design reminds you of beaches, sunlight and holidays at the seaside. Just look at these turquoise tiles, a boat bathtub and pretty natural accessories – corals, starfish, sea urchins – isn’t that perfect? Nautical decor with boats and oars are also great, especially for kids who would definitely appreciate such a cool space. Below you’ll find some more ideas how to decorate your bathroom inspired by sea and beaches.